These folders are the same great quality as our Homeowner Document folders. The difference is that they do not have expandable sides and bottoms. 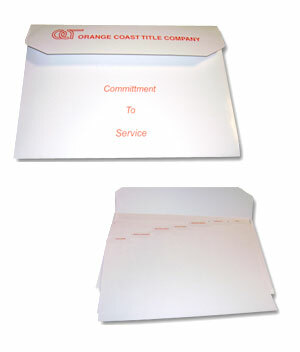 Pre-printed inserted tabs are included with a fold-over flap and velcro enclosure to keep documents secure and protected. The Homeowner Documents Mini Folders are fully customizable to keep your company name in front of the homeowner for years to come.